Come join us around the “Kitchen Table” to finish that project you keep putting off. 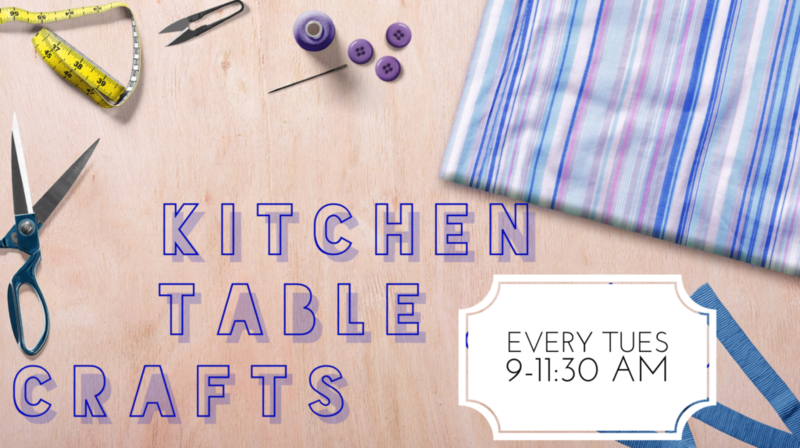 Bring your own supplies and come work on any project you like: quilting, needlework, art, scrapbooks, you name it! We meet Tuesdays from 9-11:30 at the church office. This will also be a time for prayer support, a brief devotional, and an opportunity to make some new friends. Bring your own snack if desired. Have questions about this group? Our group leader Cindy Weiss would be happy to answer your questions.